Macy's, 2018 Spring Look Book — Denv.Her. denv.her. was invited into Macy's to celebrate the return of Spring and dress one of the mannequins in The Park Meadows Macy's store! If you need help styling your Macy's Spring outfits, Macy's MyStylists can outfit you from head to toe in all the latest Spring trends. Both the Macy's at Park Meadows and Cherry Creek offer Mystylists free of charge - all you need to do is make an appointment and leave the rest to these fashionable experts! The major trend for this Spring are coastal cools where purity and simplicity are key with tranquil hues inspired by elevated coastal culture and the deep blue sea. Another trend still going strong? 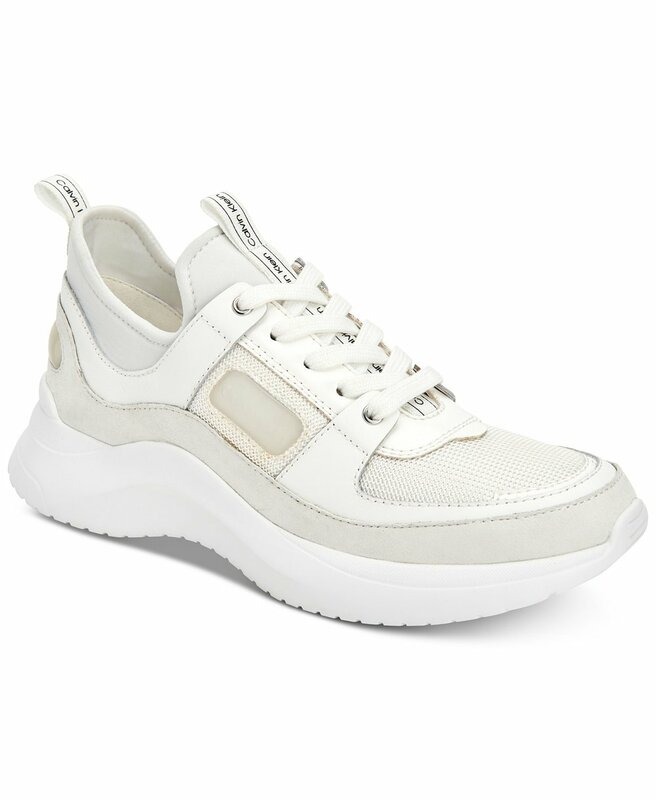 The chunky sneaker - & the chunkier the better for the more fashion forward girls out there! A chunky shoe makes a bold statement to any outfit and we were prepared to make our manne over with a glamleisure look starting around a chunky sneaker. The Calvin Klein Ultra Sneaker was the perfect piece to start with (& dont forget tall socks!). Any fashionable Spring outing. Think Easter brunch with the girls! This MK logo stripe dress stuck out for us because it’s a really versatile piece - you can easily dress it up or dress it down and it went with the glamleisure style we were trying to build around. We then pulled a baby blue Bar III blazer and Bar III blouse. The blazer and blouse add the glam to this outfit and balance the causal-ness of the logo dress and chunky sneaker. Never be afraid to style a shirt under a dress! Also notice all the coastal cools going on in this outfit. Adding a soft pastel backpack and gold hoops to this look will really pull everything together. Huge thanks to Macy’s for having us in and head into the Park Meadows Macy’s to check out our mannequin and kick your Spring shopping into high gear! See below for Macy's product links and happy shopping!